In the opening minutes of Joel Drake Johnson’s terrific play, The Fall to Earth, now playing at 59E59 Theaters, we are treated to a quintessential manifestation of that mother-daughter dynamic in the relationship that exists between Fay Schorsch (Deborah Hedwall) and her adult daughter Rachel Browney (Jolie Curtsinger), who have just checked in together to share a room in a run-of-the-mill motel. Fay, a low class, loquacious, unsophisticated, parochial, fiftyish matron, lives with her couch potato husband (a Vietnam War veteran and Rachel’s father) in a world of home cooked meals and land lines. Rachel, on the other hand, is a successful, well-traveled, thirtyish, divorced single mother and business woman, now residing in Chicago and completely comfortable in today’s more modern world of restaurants, room service, frequent flyer miles and cell phones. Fay is quite taken with the size of their room and the size of the king size bed they will have to share, the motel having mis-handled their reservation and having failed to provide the separate beds that Rachel had requested. Fay also is impressed with the view from the motel window of trees and mountains beyond the parking lot, with the writing desk in their room and the motel’s lovely stationery, with their rental car’s unlimited mileage, and with having flown business class and having being catered to by the airline’s flight attendant en route. Rachel could not be more blasé about it all and would have much preferred separate beds. What is of great import to her mother is mundane and trivial to her. In short, this mother-daughter outing would appear to have all the earmarks of a typical dysfunctional mother-daughter experience. But there is much more to this play than first meets the eye. Fay and Rachel are not just off seeking to bond through some shared “girls’ night out” experience. On the contrary, they are engaged in fulfilling the unpleasant duty of identifying and claiming the body of Kenny, Fay’s son and Rachel’s brother who, as we quickly learn, committed suicide. And as the play unfolds, we learn a great deal more. Why did Kenny kill himself? Why did Fay arrive without Kenny’s father? What were Kenny’s relationships to his sister and his parents and how, if at all, did those relationships bear on his suicide? How is one to explain Fay’s aberrant behavior and what is Rachel’s real relationship with her parents? 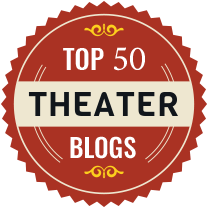 Eventually we do discover all the answers in a play which, as it turns out, is much more than just another take on familial dysfunctional relationships. In addition to Fay and Rachel, there is just one other character in the play, Terry Reed (Amelia Campbell), the police officer who found Kenny’s body, who now is attempting to assist Fay and Rachel in coming to terms with his death, and who has issues of her own which may or may not cast some light on just what has transpired. Johnson has constructed an intricate, intelligent play that captures your attention at the outset and never lets go. And his ear for dialogue is first rate. 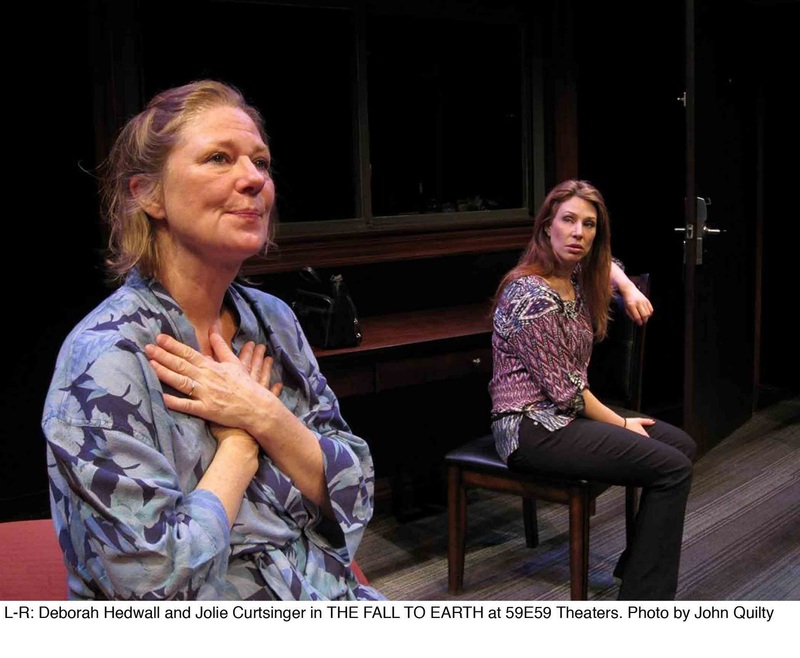 Curtsinger (who is also the co-founder of InProximity Theatre Company which is presenting this New York City premiere production of The Fall to Earth) does an absolutely brilliant job in her role as Rachel. And Hedwall is just incredible in the multi-faceted role of Fay.